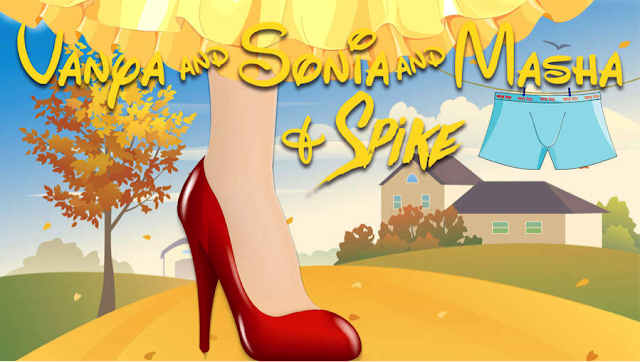 Be prepared for a raucous funfest as The Phoenix Theatre presents Christopher Durang’s Tony Award winning comedy, Vanya and Sonia and Masha and Spike. Vanya (Michael McFadden) and Sonia (Melanie Calderwood) are struggling to get along with each other. They are step-siblings living in the same upper middle class home where they were raised, though Sonia had been adopted. They stayed home for decades, taking care of their ageing parents until they passed, and then continued to live there together. They recognize that they have missed out on much of the richness of life. Their loose cannon sister shows up unexpectedly. 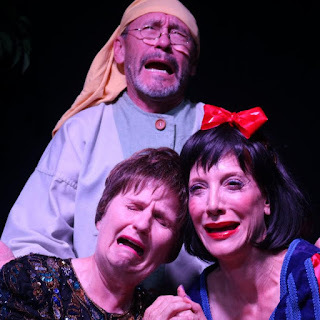 Debra Rich Gettleman is outstanding in her role as Masha, an ageing movie starlet, who arrives with lots of baggage. In addition to her insecurity issues, she brings her 20ish boy toy. Spike (Cade Morrison) is disruptively handsome, and with intelligence about thrice his age. These differences, measured in decades and intellect, initiate concern to Vanya and Sonia. They also feel envy of all Masha’s achievements, experiences and advantages. To say that this family is dysfunctional would be giving them too much credit. The resulting flurry of drama is hilarious to watch. Susan Connors is fabulous as Cassandra, the over the top flamboyant housekeeper, who resorts to witchcraft when she has visions of disruptive forces at work within the family. She envisions Masha selling the home. When Masha tries to rest for a Spell, she finds herself on pins and needles with Cassandra poking her voodoo doll. Will this sorcerous reprogramming work on Masha? Will she get the point? The complexity of these relationships runs even deeper. Spike is into fitness and loves to show off his remarkable physique, described like a “Greek God” as he does carry Trojans in his trousers. It turns out that Vanya is gay, and also finds Spike attractive. But it doesn’t take Spike long to spot the young, bright, and pretty neighbor, Nina. We welcome Sarah McGrath home after graduating from Indiana University, as she is perfect as Nina. 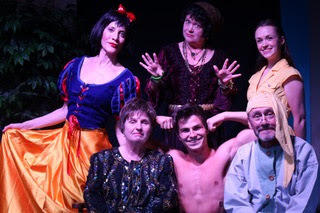 The entire cast, Debra Rich Gettleman, Michael McFadden, Susan Connors, Melanie Calderwood, Cade Morrison, and Sarah McGrath work magic together. Running through October 29, Fri/Sat at 8pm and Sun at 2pm. Purchase tickets online for this production or for the season.